Travel woes plagued many of us who attended this years Wine Bloggers Conference. Whether they were problems on our way there or our way home, many of us have stories about our travels to and from this years conference. Marcy Gordon of Come for the Wine summed it up perfectly on Twitter: “The Conference You Can Attend But Can Never Leave”. In all honesty, that’s what it felt like. A group flying out of Elmira-Corning had a delay that ended with some of them having either a late night/early morning arrival into PDX, crazy routings or having to stay the night upon arrival in Chicago. I experienced a 3 and a half hour delay in Washington-Dulles because my ride home had a bird hit the engine. …and that’s not including the fact that there were many of us who faced baggage issues as well! Our adventures aside, there was a lot of great content that came from the conference this year. 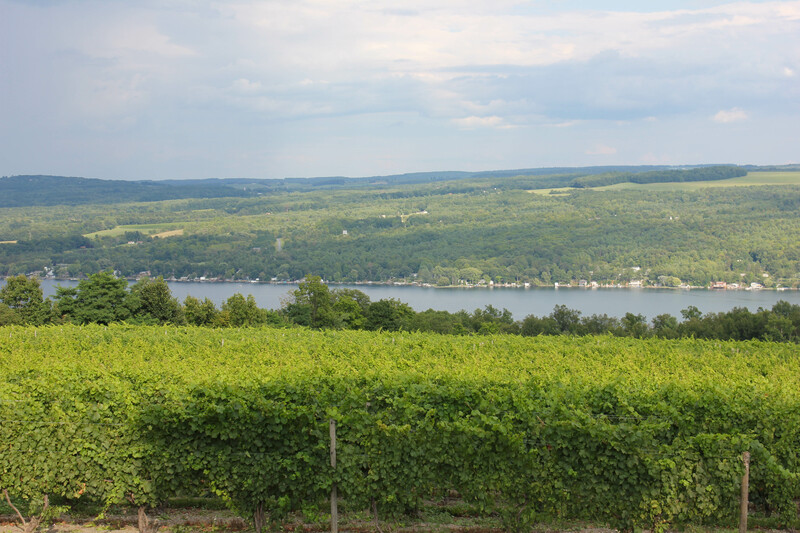 From answering criticism about wine bloggers to learning about what makes the Finger Lakes region unique, there was not a lack of information to share. Good wine writing demands more than just a palate and a vocabulary. It demands curiosity, creativity, insight, and diligence—and that’s true whether you approach your work journalistically or view your blog as a strictly artistic endeavor. It’s summer camp. For grownups. With wine. It’s lurching down the hallways of the Radisson at 1 a.m. listening for loud voices behind doors to find the next party. More than that, it’s meeting friends who also love wine and love to talk about it. It’s a reunion and a beginning. It’s like Comic Con or a Star Trek fan convention or the Juggalo meetup or any gathering of people who share a hobby. …and that’s exactly what the Wine Bloggers Conference is. It’s about stalking the hallways, listening for loud voices or propped open doors to find an impromptu party. It’s about meeting friends who have a common interest. It’s about playing cards against humanity with 20 people in a hotel room and a desk full of wine. In summation, WBC is a family reunion…with really good wine. Other posts I’ve enjoyed thus far? Come for the Wine, Stay for the Camaraderie: Wine Bloggers Conference #WBC15 by the one and only Marcy Gordon. The wine writer…not the AP Finance writer. I’m sure that the Finance writer Marcy Gordon is a delightful person, but I love our Marcy Gordon even more. Why I am a Bad Blogger and Wine Writer by the amazing Mykh’ael Wilson. Disclaimer: As a participant of the Wine Bloggers Conference, I was given a discounted rate for being a citizen blogger with the understanding that I will produce at least 3 blog posts about the conference. I am sincerely saddened that I never brought out my Hungry, Hungry Hipsters card game. That would have been a blast! Cards Against Humanity happened last year in Melanie’s (Dallas Wine Chick) room. The fun police kept bothering us. Loved your account of #WBC15. Makes me wish I’d been there. Thanks also for the links to the seminars. Great stuff! All this to say . . . winebloggers are really fun, amiable group of peeps! Can’t wait to see the pictures of FingerLakes, NY. I had one wine bottle that didn’t make it home. 🙁 My bag was severely mangled upon arrival, too. My Travel Tuesday post shows all the damage.